One of the biggest threats to recruitment and retention in schools is teacher workload. John Viner looks at how education secretary Damian Hinds plans to tackle this problem. I have written before on the problems of teacher recruitment, but the situation is compounded by the rate in which teachers are deserting the profession. Last year, just under 34,000 people entered the profession as initial teacher training trainees, while 50,110 teachers left. Not only is this a repeating pattern but the DfE has failed to meet recruitment targets for six consecutive years. It has taken the DfE a very long time to acknowledge this crisis but, finally, Damian Hinds has come up with a plan. Current figures for early departure are frightening, with around 15% of new teachers having left within a year and over 70% within five years. This attrition rate leaves many subjects under-staffed and schools struggling to find any – never mind good – teachers to cover vacancies. Last year the DfE undertook a piece of research to find out the main causes of teachers’ decisions to leave the profession. The report concluded that there were two main limiters to retention. Workload was the most important factor influencing teachers’ decisions to leave the profession and most suggested solutions to addressing retention were linked to workload in some way. Decisions to leave the profession were 'generally driven by the accumulation of a number of factors, over a sustained period of time', but for some there had been a specific ‘trigger’ point. It does not take a genius to work out that, for many, the ‘trigger’ was a tough Ofsted inspection or the constant pressure on teachers to drive up student achievement. Interestingly, pay was not a significant driver, although some respondents stated that the rewards did not match the expectations of the role. 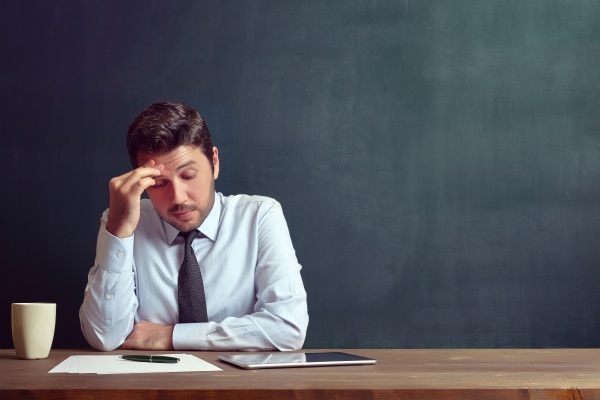 In a recent Commons briefing paper on teacher retention, researchers suggested that teachers were often persuaded to stay if they were on permanent contracts, in successful schools or had full-time hours. However, these strategies patently miss the point, especially for teachers in London. London’s schools will need more teachers over the next few years as pupil numbers grow. The capital already has more new teachers each year than other large cities and the rest of England. But these new teachers are not enough to replace the many teachers who leave teaching in London each year. Last year, research commissioned by the mayor of London suggested that the cost of living in London made a case for higher teachers’ pay, subsidised childcare and affordable housing, while many teachers, far from wanting full-time hours, actually wanted to reduce their hours to give time to their family. Interviewees also told researchers of the importance of ongoing professional development and a focus on health and wellbeing. Presumably having considered the research, Damian Hinds has finally come up with a strategy that, if it does not solve the problem of teacher retention, may at least ameliorate it. Drop ‘floor’ and ‘coasting’ measures – this removes some of the accountability pressures and makes ‘requires improvement’ the only trigger for additional support, while only ‘inadequate’ schools will be academised. Staggered bursaries – this is effectively a re-allocation of existing bursary funding to provide financial reward for teachers of shortage subjects to stay for three and five years. Introduce specialist qualifications for teachers who wish to remain in the classroom rather than take a leadership route. (Who remembers advanced skills teachers?). Introduce an Ofsted ‘hotline’ for headteachers to use if they think inspectors are increasing teachers’ workload. Introduce a funded early career framework. Long-awaited strategy to better develop teachers in their induction year and beyond. Promote flexible working, assisted by a new ‘find your job-share’ app. Encourage the provision of homes for teachers. Some trusts are already looking for ways to do this. In addition, the secretary of state has announced plans to make it simpler for people to apply for teacher training and expand those routes such as apprenticeships and end-of-first-career entrants to the profession. He also proposes to introduce a ‘discover teaching’ initiative to interest people in teaching. However, it is yet to be seen how successful this will be – it is Hinds’ contention that in a ‘get into teaching’ survey, 40% of respondents thought they would make a good teacher. But that brings us back full circle – having trained them, how do we keep them? Hinds’ strategy has been broadly welcomed by both teachers’ leaders and Ofsted but how far it will address the deep seated issues of retention cannot yet be assessed. Schools can help the retention process by looking after the wellbeing of their trainee teachers so that they are not overwhelmed by the job before they have started. Those charged with mentoring trainees should bear in mind that, even if they are covering a vacancy, they should teach no more than 80% of the timetable of an NQT. There is a temptation, when a teacher is covering an almost full timetable, to forget that they will also need time to fulfil all the additional demands of their training programme. Senior leaders must also look to their induction of NQT, especially in the additional responsibilities that tend to accrue over the year and into their second year of teaching. New teachers may be keen to take on the extras and prove themselves, but those of us in leadership must be mindful that keenness does not necessarily equate to competence. Be aware of the busy, young teacher, who takes on more and more, and then finds that they are not coping but won’t admit it. It has been said many times that people don’t leave roles, they leave managers. Let’s do our best to look after our staff. Can your already tight budget bear the additional expenditure needed to recruit and induct a new teacher to replace the one that has just resigned?